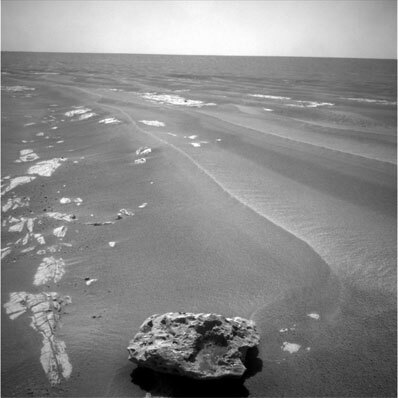 The Opportunity rover has eyed an odd-shaped, dark rock, about 0.6 meters (2 feet) across on the surface of Mars, which may be a meteorite. The team spotted the rock called "Block Island," on July 18, 2009, in the opposite direction from which it was driving. 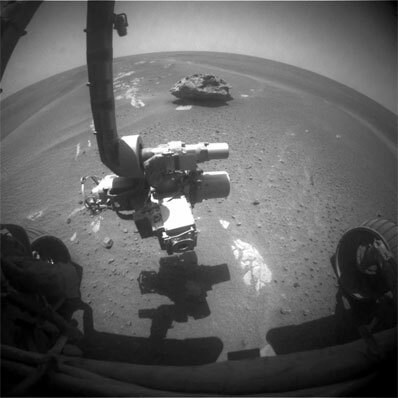 The rover then backtracked some 250 meters (820 feet) to study it closer. Scientists will be testing the rock with the alpha particle X-ray spectrometer to get composition measurements and to confirm if indeed it is a meteorite.